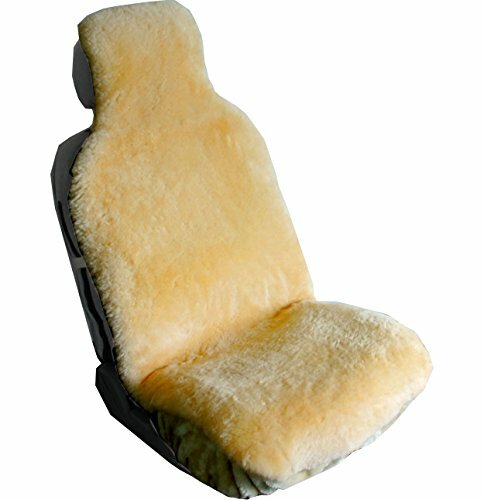 Minidoka Sheepskin Seat Pads by Desert Breeze Distributing are specially made by and for people who care about comfort and quality. 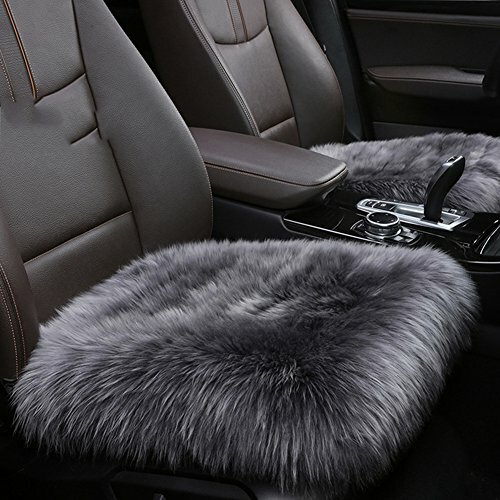 Only the finest sheepskin pelts are chosen for our seat pads. Made from a single hide, the leather softly conforms nicely over just about any seat. The soft leather and non-slip cloth that has been securely sewn onto the padÕs backing provides a comfortable and stable cushion. The shorn wool provides a springy surface which is naturally breathable for year round comfort. The wool fibers are naturally hollow and wick moisture away, helping to maintain a normal body temperature. Excellent for staying cool in summer, and warm in winter. Easy to transport for use in the car, office, stadium seating, or any seating surface where luxurious comfort is desired. 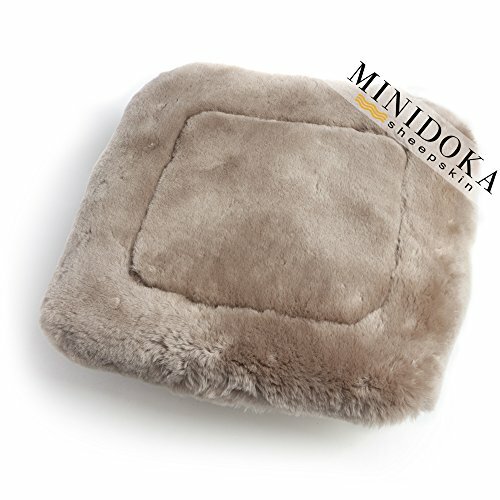 Minidoka Sheepskin - a luxury line of innovative sheepskin products with superior craftsmanship and materials. Desert Breeze Distributing and Minidoka Sheepskin are registered trademarks of Desert Breeze LLC. Features: Material: Authentic Australian Wool Color: As the picture show Diamension: 49cm*49cm/19.3inch*19.3inch Package included: 1 Pcs Car Seat Cover With its elegant look, you improve the beauty of your car interior. Furthermore, it improves the appearance of old or dirty seat belts. It has a very neutral color and style so it can match any car interior. Material: 100% Genuine Sheepskin Size:approx. 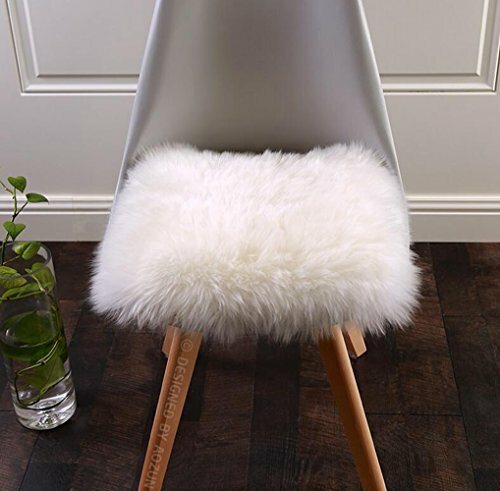 45cm x 45 cm (18 x 18 in) 100% real sheepskin luxurious long wool thick seat pads mats with straps, make with a soft suede on backing. 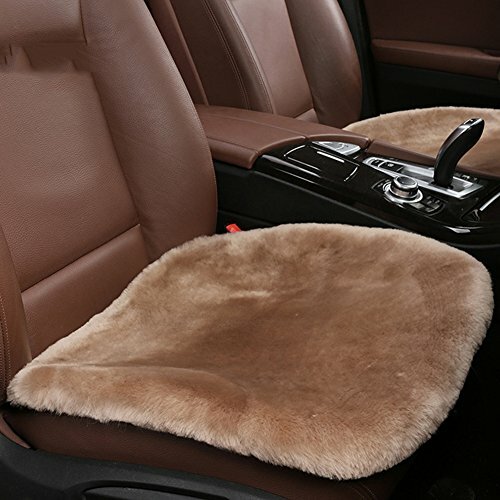 Good breathability,high density,high quality super soft and fluffy.Keeping your seats warm in the winter.Suitable for decorating,chair,car seat,home,desk ,sofa,kitchen,living room,bedroom,office .Universal size suitable for most cars, SUV, CRV ,chairs, and so on. Perfect for office, home and travel. Package Includes:1 PC Machine washable ,hand wash or dry clean. Identification method of wool: the real wool after burning has an odor a whiff of wool fiber, like the smell of setting hair on fire, gently pinching by hand will turn into powder,pinching the combustion faux wool by hand like hard lump instead powder. please refer to this method to identify. Sheepskin made from 1" first grade ultra dense pelt Made from premium quality of genuine Australian sheepskin, Our sheepskin pelts are all top quality Australian grade skins, selected specially for their density, softness, strength and quality. This seat covers are tailored to give a super fit. In summer, sheepskin absorbs body moisture to naturally help your body cool itself; In winter, sheepskin insulates you for comfortable warmth. No more sizzling seats in summer or freezing seats in winter. Please contact us for alteration options. 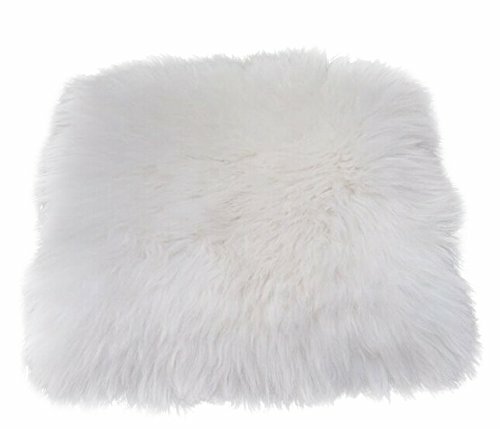 Looking for more Sheepskin Seat Cushion similar ideas? Try to explore these searches: Brown Nubuck Suede Shoes, Go Impact Acoustics Pc, and Marine Grade Silicone Sealant. 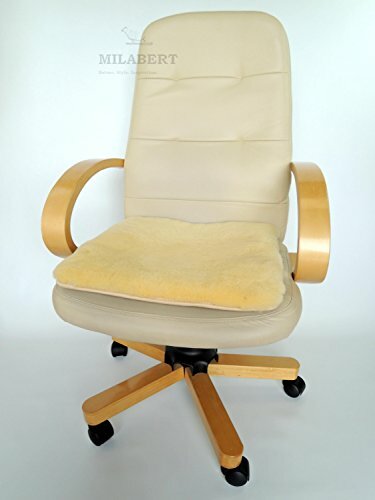 Look at latest related video about Sheepskin Seat Cushion. Shopwizion.com is the smartest way for online shopping: compare prices of leading online shops for best deals around the web. 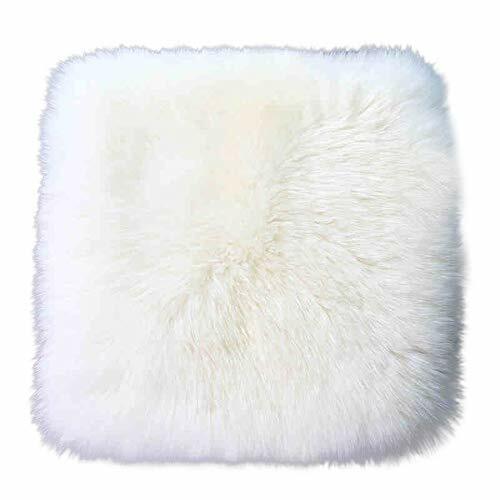 Don't miss TOP Sheepskin Seat Cushion deals, updated daily.